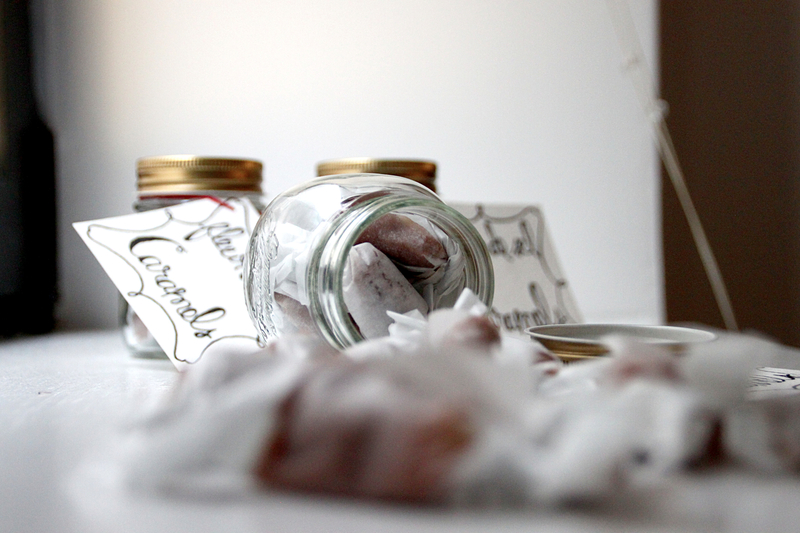 The holidays create in me, like most, an overwhelming sense of giving and since one of my favorite things in the whole wide world is making delicious treats, I tend to give a lot of easy to package desserts. 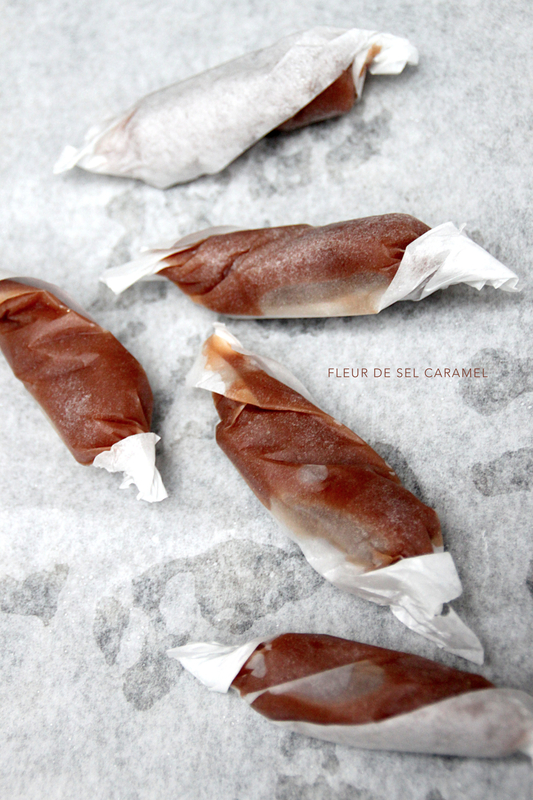 These fleur de sel caramels would make wonderful gifts for the holidays or any occasion. They’re sweet, melty, buttery perfection with just a hint of saltiness. Eating just one is not an option…trust me. I followed this Epicurious recipe (it’s important to use a candy thermometer and reach the exact temperatures required). 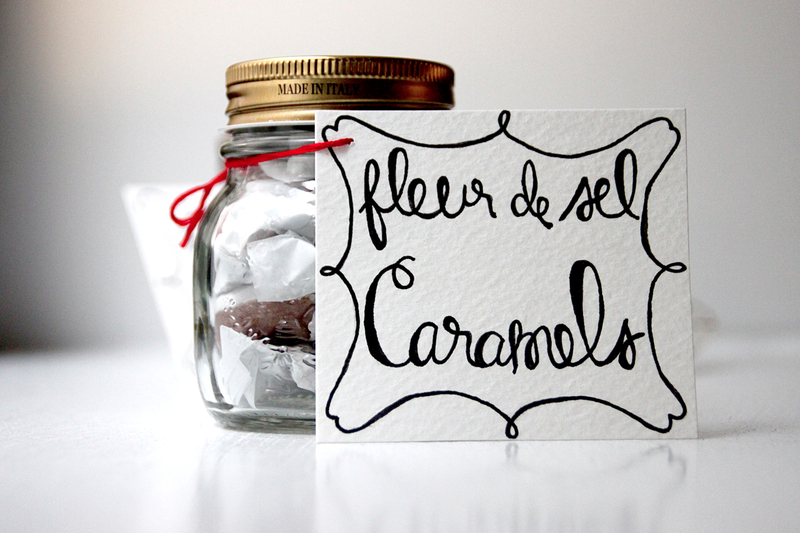 Package these lovelies up pretty in a mason jar with a handmade tag for an added homemade feel. I’m sure anyone who receives these will always remember them…and you! xoxo!